Whether you’re still working or not, waiting to claim your Social Security retirement benefits could grow them significantly. Through delayed retirement credits, your monthly benefit amount increases for each year you wait between your full retirement age and 70. Full retirement age is between 65 and 67, depending on when you were born. To learn more about delayed retirement credits, please visit www.socialsecurity.gov/planners/retire/delayret.html. You get credits on your earnings record for each year of additional work income. Once you start receiving retirement benefits, we’ll automatically review your earnings record each year to determine if you’re entitled to an adjustment. When we calculate your retirement benefit amount, we use your best 35 years of earnings. We’ll increase your benefit amount if your new year of earnings is higher than one of the years we used to calculate your initial benefit amount. To see how we calculate your benefits, visit www.socialsecurity.gov/pubs/EN-05-10070.pdf. An increased benefit amount for yourself could mean more support for your family, too, through Social Security spousal benefits, child benefits, and survivor benefits. We also encourage you to set up your own online my Social Security account so you can verify your lifetime earnings record, check the status of an application for benefits, and manage them after you’re receiving them. You can create your personal my Social Security account today at www.socialsecurity.gov/myaccount. Social Security is committed to helping you prepare for a secure today and tomorrow for you, your family, and future family. You can access all of our retirement resources at www.socialsecurity.gov/planners/retire. This entry was posted in Retirement and tagged benefits, My Social Security, my social security account, retire, retirement, retirement benefits, Social Security benefits, spousal benefits, SSA, SSA benefits, survivors benefits by Jim Borland, Acting Deputy Commissioner for Communications. Bookmark the permalink. Is it true that seniors social security is taxed and why? It seems the seniors should be the ones getting something more out of it after “lending” it to the government for who knows what projects they’ve done. Another form the government can reimburse seniors is by giving them better health insurance. Hi Nilsa. Some people have to pay federal income taxes on their Social Security benefits. This usually happens only if you have other substantial income (such as wages, self-employment, interest, dividends and other taxable income that must be reported on your tax return) in addition to your benefits. The “substantial income” is based on nationwide averages, apparently. But if you are in a high cost city what is considered “substantial” is higher than in other areas. Taxing 85% of Social Security when a pension and some work income adds up above 34K for a single person is excessive and then means the person has to work MORE to make up the difference. In my area making 34K puts you at poverty level….. Does anyone at the SSA plan on addressing the rediculous backlog that claimants face? A good family friend has been waiting for over 3 years. She has Multiple Scerosis cannot walk and is in the hospital several times a year. How someone like that has to wait years and years is absolutely absurd and a disgrace to taxpayers. Currently her decision is waiting to be written. Her hearing was several months ago, and she has been living in poverty for the last few years. I just receive $90 a month in Social Security. When my wife turns 66 (3 years) she will file for her Social Security benefits. How can I switch from my monthly retirement to 50% spouse of hers? Hi John! To see if you qualify for a higher benefit amount on your wife’s record, you will have to contact us, when she files for her retirement benefits. Visit our Retirement Planner: Benefits For You As A Spouse for more information. Thanks. We appreciate your thoughts, Paul. Thanks for your comment! thank you for the information…! Thank you, Luis! We’re pleased we can help. We will continue our efforts to meet your requirements and expectations in the years to come. For your security, we do not have access to personal information in this venue. We recommend that individuals living outside the United States contact their local U.S. embassy or consulate for any assistance related to Social Security programs and benefits. Also, our Office of International Operations home page provides more information to assist our customers living abroad. We hope this information helps. I have big problem with my Quotes in social Security in 2009 I be disabile with PTHD also have a new desease in my spine,afecten my spine,I need increase my income please I need information. I retired early but came back to work. I am 69 and I have been back at work since 2010. I am looking at leaving the workforce again in 2018 when I turn 70 years old. I will still work part time in order to make ends meet. Will my Social Security be recalculated? Hi, Catherine. Generally, if you continue to work while receiving retirement benefits, your monthly benefit amount may increase. As long as you continue to work and receive benefits, we will check your record every year to see whether the additional earnings will increase your monthly benefit. If there is an increase, we will send you a letter telling you of your new benefit amount. You can call our toll free number at 1-800-772-1213 for further assistance. Representatives are available Monday through Friday, between 7 a.m. and 7 p.m. Thanks! What can one do if there on ssd? Disability Planner. General information on what you need to know when you get Social Security Disability Benefits. I want to work as long as I can, since I’m single and don’t have a lot of 401k savings for my age (58), but my company has a mandatory retirement age of 70. I make good money and am afraid I won’t be able to find a comparable job after I retired from this company, so I’m relieved to see that my best 35 years’ of earnings are used, I didn’t know that. Thank you for these informative posts! We are glad we can help, Karen. Keep in mind that many of our services are conveniently available anytime at our website. We encourage our customers to create a my Social Security account. With a personal my Social Security account, you can get estimates of your retirement, disability, and survivors benefits, review your earnings record and much more. We will continue our efforts to meet your requirements and expectations in the years to come. We appreciate your feedback! I hope Karen doesn’t think what you said about using higher earnings to figure her SS payment means that she will be getting anything near what she is earning. SS payments are lower than what your earning and will only marginally support an individual. Definitely do not be expecting to be able to afford to let paper by the end of the month. can not live on 1 % interest with living costs 3 to4 %. I very want for you give me more 200 dollar hard to live this money wife divorse me I no working hard to walking bad balance on my MS please understend me sorry for my stuped qvestion thank you for for caring!!! Individuals receiving disability benefits may also be eligible to receive social services from the state in which they live. These services include Medicaid, cash assistance, free meals, housekeeping help, transportation or help with other problems. You can get information about services in your area from your state or local social services office. Or you can visit the U. S. Department of Health and Human Services (HHS) web page for more information. We hope this helps! I am a present SS Is it possible to get additional funds? Hi Shirley. To see if you are eligible to receive social services, cash assistance or other benefits from the state in which you live, contact your local social services office. Or you can visit the U.S. Department of Health and Human Services (HHS) web page for more information. I AM 66 YEARS TODAY ON MY BIRTHDAY. GIVE LOVE…GIVE ME LIGHT…GIVE ME PEACE ON THE VERY DIFICULTY MOMENT IN MY LIFE…I’VE GOT A LIVER ‘S CANCER…ON UNDER TREATMENT…I HOPE GOD BLESSING ME I WILL SURVIVE IN MY STRUGGLING TO SURVIVE…GOD IS LIGHT…CARLOS F.
How about a link to the Change my Address form? I can’t find it. Many people are “choosing” to work past 65 is an incorrect statement. Many people are being forced to work past 65 because they either didn’t plan for their retirement or had extenuating circumstances like health issues that didn’t allow them to save for it. when is the last date in order for me to apply retirement beneficial monthly payment. Thank you for your question, Eunice. Eligible individuals can start receiving retirement benefits as early as age 62, but if you decide to start to receive benefits after your full retirement age may result in larger benefits. You earn delayed retirement credits automatically when and if you delay getting your benefit up until age 70. The benefit increase no longer applies when you reach age 70, even if you continue to delay taking benefits. Also, keep in mind that if you work and are full retirement age or older, the amount you make at work will not affect your Social Security benefits, no matter how much you earn. Please bear in mind that the decision on when to apply for benefits is a personal one. We can only provide you with the information to help you make the best choice according to your own situation. To help you plan, you can use our online calculators. Also, you can create a my Social Security account to verify your earnings, and get a copy of your Social Security Statement. Our system is set up to take applications three months in advance, and when you’re ready, you can apply for your benefits online. If you need further assistance call our toll free number, 1-800-772-1213 (TTY 1-800-325-0778) and ask to speak with one of our representatives, who are available Monday through Friday between 7 a.m. and 7 p.m. We hope this information helps! Social Security benefits are based on earnings that have already been taxed. Are SSec earnings taxed? Some people have to pay federal income taxes on their Social Security benefits. This usually happens only if you have other substantial income (such as wages, self-employment, interest, dividends and other taxable income that must be reported on your tax return) in addition to your benefits. See our Benefits Planner: “Income Taxes and Your Social Security Benefits” for more information. Thanks! Hello I just received my updated statement for 2018 . I am confused a 2% Cola increase. An increase in part B. Which leaves me with a decrease of $11.00 in social security check. I am still working as senior and was originally disabled now over 70 yrs. Can you please explain why i am getting less money with a 2% Cola increase. Unfortunately and because of security reasons we do not have access to personal records in this blog and cannot answer your question at this time. One of our representatives should be able to provide you with an explanation and answer your questions. Please call our toll free number at 1-800-772-1213, Monday through Friday, between 7 a.m. and 7 p.m. Thanks! Fabulous website and easy to navigate. A good example for States. In the last five years, there has been a progression, with the way calls are answered and too how the SS offices are operating. Need more outreach workers to answer benefit questions. Not volunteers, but people who know Medicare inside and out. Hi Darlene, we appreciate your thoughts. Thanks for your comment! Thank you for your question, Susan. There are limits on how much survivors may earn while they receive benefits. Please visit our Survivors Planner: If You’re The Worker’s Surviving Divorced Spouse for more information. Thanks! This 2% raise SS gave is a total fraud!!! I have been paying $111.00 every month for my insurance and now I receive a letter and it has jumped too 134.00 every month. This is a 20% increase in what I was paying! not 2 percent increase in the medical premium which is what the local SS office told me that the increase was based on what you were paying. I got the runaround from the local Dyersburg, TN office and I really don’t think they can figure out 2% of 111 dollars. They told me they would get back to me and rudely hung up the phone! I am protesting this amount from my SS check because it is greater than 2 %. vise president and 2 Florida Myers over the years one care a cent write good english and no one would help. If you took early retirement benefits, and spousal benefits at 62, (your spouse was 65) and then you get divorced, after a 29 year marriage you keep your benefits until you remarry. If you REMARRY at age 70…and your new husband collected is benefits at age 62, do you as the new spouse collect under his 62 yr. old retirement benefit, or are you entitled to 50% of what would have been his full retirement benefit, because you are 70 when you apply for his benefits as you new spouse? Thank you for contacting us, Margaret! First a couple of reminders: Generally, you must be married for one year before you can get spouse’s benefits on your (new) husband’s record. Next, when a person begins to receive benefits at age 62 or prior to their full retirement age, their benefits are reduced. These reduction factors are permanently applied to all of the benefits the person may qualify for. Also keep in mind, that if you receive benefits from Social Security, you have a legal obligation to report changes, which could affect your eligibility to receive Social Security benefits. If you get married or divorced, your Social Security benefits may be affected, depending on the kind of benefits you receive. You may be due additional payments, or you may be overpaid and have to pay us back because you didn’t report the change in a timely manner. Please call our toll free number at 1-800-772-1213 for further assistance. Representatives are available Monday through Friday, between 7 a.m. and 7 p.m. We hope this information helps! What a joke. We get a $28.00 increase in benefits and you raise the cost of our insurance by $25.00 and never said a word about this increase. I’m 77 and have a hard time paying rent, feeding myself & paying for supplemental insurance. Surely, we can do better than this. I know folks who are in a lot worse shape than I am. There has to be more that we can do to insure retirees living solely on SS can exist without having to depend on family, food banks etc. Was there an increase in medicare for 2018? I don’t remember being notified of an increase in the cost of medicare when the 2% cost of living increase was announced for social security benefits. The increase was earlier, not this year, but the increase in benefits allows for paying the full price. Many did not pay the full price for Part B because it would have reduced the monthly benefit. Now, with the 2% increase, most of that increase goes toward paying the full price of $134 a month for Medicare Part B.
I have a friend who is 76 and working still. He says he is unfamiliar with Social security and asked me some questions about getting benefits. I know the benefit he gets would have quit increasing (just due to his age) at 70, but is his benefit increasing due to his working and not taking the benefit? Once he got his 10 years of coverage he probably should have taken the benefit, am I wrong? Thank you for helping out, Daniel. You’re right, the benefit increase no longer applies when you reach age 70, even if you continue to delay taking benefits. Generally, anyone born in 1929 or later needs at least 10 years of work or 40 credits, to be eligible for retirement benefits. To speak to one of our agents and to discuss his options, your friend can call our toll free number at 1-800-772-1213. Representatives are available Monday through Friday, between 7 a.m. and 7 p.m.
Is there a certain time frame you must sign up for SS or get a penalty? I turned 62 in Oct. but do not plan to draw until full retirement age 66 and 2 months I believe. So do I need to do Anything about signing up until then. Don’t want to be penalized. There is no penalty. In fact, the opposite: there is a benefit to delaying retirement benefits. Read the information about delaying to age 70! I’d like to know how delaying retirement benefits might apply to those who have been receiving disability benefits. When SSDI would normally switch to retirement benefits at full retirement age, is it possible to ask for suspension to age 70 and get a higher monthly amount from age 70 on? Why is this question never answered? I have asked it over the years, with not one answer, ever. If one finds a particular social security office difficult to deal with, why can’t one go to another? Hi Sandra, you can visit any Social Security office in your area. Keep in mind that many of our services are conveniently available, anytime, at our website. Thanks! How can I check if the right amount was determined for my social security amount? Hi Sandra, you can call our toll free number at 1-800-772-1213 for assistance. Representatives are available Monday through Friday, between 7 a.m. and 7 p.m. Generally, you will have a shorter wait time if you call later during the day. Thanks! It took me three application, multiple calls, and two visits to the social security office to sign up for B. It would be helpful for the different units to have an updated record of my application, and be able to report on the status of my application? Why is there such a delay in sending information to the beneficiary/actuary regarding past years benefits? I have had to individually request, yet I know that such info is immediately sent to the IRS. If I signed up for SS when I reached 65 but delayed receiving any payments, do I have do anything when I reach 70 to start receiving my payments or is it automatic? Hi Mike! If you signed up for Medicare ONLY at age 65, you will have to apply for your retirement benefits at age 70. Keep in mind, the benefit increase no longer applies when you reach age 70, even if you continue to delay taking benefits. Please call our toll free number at 1-800-772-1213 for further assistance. Representatives are available Monday through Friday, between 7 a.m. and 7 p.m. Thanks. Thank you for your question, Alan. Generally, you will need to have 40 credits, or 10 years of work paying Social Security taxes, to qualify for any type of Social Security benefit. When you apply for retirement benefits, we base your benefit payment on your highest 35 years of earnings and your age when you start receiving benefits. You may be referring to Social Security retirement benefits increasing, by a certain percentage (depending on date of birth), if you delay your retirement beyond your full retirement age. However, the benefit increase no longer applies when you reach age 70, even if you continue to delay taking benefits. See our Retirement Planning page for more information. We hope this information helps! Thank you for your response, but think I was not clear enough in my question.I have at least 40 credits from a 29 year work history of paying Social Security taxes.I was not referring to Delayed Retirement Credit (DRC),I did delay my retirement until 70 and have been collecting retirement benifit since my 70th birthday with the full DRC applied.My question is rather, if I continue to work for the next few years into my mid seventies, whilst I am able and wanting to continue working, will there be an automatic recomputation of my average indexed monthly earning (AIME) at the end of each year that I work and consequently an increase in my monthly benefit if the AIME is deemed to have increased. Thank you for your questions Alan. The amount of benefits you receive is established at the time you applied for retirement benefits. It is based on the amount of your average lifetime earnings and your age at the time you applied. Each year, we review the records for all working Social Security recipients to see if additional earnings may increase monthly benefits. If your earnings for the prior year are higher than any of the years that were used to compute your retirement benefit, we will recalculate your benefit amount. If an increase is due, a new monthly benefit amount is established on your record automatically. See “Your Retirement Benefit: How It’s Figured” for more information. Yes, that answers my question.Thank you kindly. Ray Fernandez, Can you find and post the answer to my question about whether it is possible to suspend benefits at Full Retirement Age when SSDI would normally switch to retirement benefits, then resume benefits later at a higher benefit amount. If you have reached full retirement age, but are not yet age 70, you can ask us to suspend retirement benefit payments. You may voluntarily suspend retirement benefit payments up to age 70 beginning with the month after the month when you make the request. See our Retirement Planner: Suspending Retirement Benefit Payments web page for more information on this topic. Thanks! I started collecting s.s. at age 62 related to serious asthma. As a result my ss income is very low. Is there any way to increase the amy I now receive? I get a very sm amt from my ex husband’s ss. Thank you for your question, Edna. If a person begins to receive benefits at age 62 or prior to their full retirement age, their benefits are reduced. The reduction factors are permanently applied to all of the benefits the person may qualify for. Please call our toll free number at 1-800-772-1213 for additional assistance. Representatives are available Monday through Friday, between 7 a.m. and 7 p.m. Thanks. Is there an age that my SS benefits will not be taxed? I will be 70 next week but I am still working full time. will my SS benefits always be taxed or is there an age that they will stop being taxed? Thank you for your question, George. Some people have to pay federal income taxes on their Social Security benefits. This usually happens only if you have other substantial income (such as wages, self-employment, interest, dividends and other taxable income that must be reported on your tax return) in addition to your benefits. For further income tax questions, you will need to contact the IRS. Their toll-free number is 1-800-829-1040. My wife was given some confusing information when she applied for her/my spousal benefits and in doing so she was given a lower amount to draw from my SS she is not receiving her fair share of her/my benefits. Can an addendum be filed once she has received her benefits? Thank you for contacting us, John. If your wife does not agree with our determination, she has the right to file an appeal. However, the request must be in writing and received within 60 days of the date she receive her award letter. If she is out of the 60 days time-frame, she would have to submit a request for us to review her claim. She can write us or send us an email message. We hope this information helps! Will my ss retirement benefits continue to grow if I’m collecting off of my husband’s disability now? I signed up at 66 (dob=1951)& opted to collect off of his if it was available & it was. So does this mean if I decide to quit work next year will my ss be paid to me at the 68 yr old rate? I have CP and applied for disability this year My fiancé and I have planned to get married in Sept 2018, Will my wife, after our marriage will get spousal benefits then? Hello Bill, your wife may be able to get benefits if she is at least 62 years of age and you are receiving or eligible for retirement or disability benefits. See: Benefits For Your Spouse for more information. I am claiming social security and continuing to work. Will my benefits continue to increase even after I work past age 70? Hi, Rod. Generally, if you continue to work while receiving retirement benefits, your monthly benefit amount may increase. Each year, we review the records for all working Social Security recipients to see if additional earnings may increase monthly benefits. To learn more read our publication “How Work Affects Your Benefits”. Thanks! So, I was told that even though I delayed my retirement 14 months, applied in November, 2017 (turned 66 in September 2016), that I would not receive the full credit until the February, 2018 benefit. Why don’t I receive the benefit for the full 14 month delay with my first benefit payment? The calculations are available – I received them from my local SS office. I feel I am due the $352 shortfall for the November and December, 2017 benefit. Unfortunately, but for security reasons, we do not have access to personal records in this blog. Please continue working with your local office. You can request that we review your records and that we provide an explanation as to how we made a determination on your claim. An official determination of your claim from Social Security will provide you appeals rights, if in case you wish to seek legal advice to verify our decision. Please visit our Delayed Retirement Credits web page for general information on this topic. If you are unable to visit the local office, you can call our toll free number at 1-800-772-1213, representatives are available Monday through Friday, between 7 a.m. and 7 p.m. Generally, you will have a shorter wait time if you call later in the week. Thanks! How far in advance should one apply for SS benefits? I’ve read there are many different ways to try to maximize SS benefits. I have a simple question, if my wife and I both wait until we are 70 to start taking SS benefits, is that the best possible and maximum amount we could get, or are there still other options we need to research? The longer you wait to collect your Retirement Benefits the higher the benefit amount. An individual will get delayed retirement credits up to age 70, and receive his or her highest -possible- benefit amount. Please bear in mind that the decision on when to apply for benefits is a personal one. We can only provide you with the information to help you make the best choice according to your own situation. Please call our toll free number at 1-800-772-1213, Monday through Friday, between 7 a.m. and 7 p.m. and speak with one of our representatives if you need further assistance. Thanks! I am a woman (paid less than a man), age 73, will be 74 in November 2018, but I am unable to retire (still working) due to TRS/SS rules regarding a windfall issue. This needs to be changed because my SS was earned before working working for TRS retirement. If I retire with TRS, I will lose about half of what I earned during my working career with SS. I will need both TRS and SS in order to retire. This is unfair because SS was earned before TRS. What do I need to do to change this windfall issue? My wife and I are both on SS. Mine is higher. When I die, does she automatically get mine? i could possibly be in a similar situation and if i die before my husband, will he be able to receive my ss check? I believe it will be significantly higner by the time i retire. thank you . Thanks for this article! But I thought spousal benefits were not helped by DRCs since they are capped at PIA at the worker’s FRA. However, widow(er) survival benefits do include DRCs. This is all very confusing and should be carefully communicated. If I am currently collecting social security is there any way to increase my monthly amount? I don’t understand why I had no increase in benefits afterI worked for at least 3 years after my retirement. to my understanding, there is supposed to be an 8% increase in benefits each year that you continue to work. now i am concerned. I am over 59 1/2 and don’t take SS now. I took 100,000 dollars out of my 401 (K) at work in 2017. Will that count toward one of my highest quarters since I am still working and it would definitely be my highest quarter. I DID have to pay in more SS in 2017 because of the 100,000 dollar withdrawall. Como puedo saber cuantas coras tengo? I started receiving Social Security benefits at age 62. I’m now 65. Can I receive the full amount that I would have gotten at age 65? If I have opers retirement as well as ss. How much of social security will I lose. I have 23 years in social security. Hello Anthony. Your benefits can be reduced based on one of two provisions. Your own Social Security benefit can be reduced based on the Windfall Elimination Provision. Your spouse’s, divorced spouse’s, surviving divorced spouse’s or widow’s benefits under Social Security may be affected by the Government Pension Offset. You can use our WEP Online Calculator or the GPO Calculator to see how your Social Security benefit can be affected. Why is it possible for a collection agency to get into my disability account and steal money for my student loans? I was forced to stop working due to a second surgery not allowing me to complete my education and still have to pay for it? Unfair no agency should have this power to steal my limited disability funds! Can I receive SSI as well as receiving SSD? Yes, if you have low income and limited resources, you may be able to receive both benefits. For more information on the difference between Social Security disability and SSI, check out http://go.usa.gov/UB5C. We hope this information helps! If you are already recieving social security because if early retirement can ypu still take advantage of this.? Hi Janice! If a person begins to receive benefits at age 62 or prior to their full retirement age, their benefits are reduced. The reduction factors are permanently applied to all of the benefits the person may qualify for. Generally, if you continue to work while receiving retirement benefits, your monthly benefit amount could increase. Each year, we review the records for all working Social Security recipients to see if additional earnings may increase monthly benefits. The other way your monthly benefit amount could increase is based on the Cost-of-Living Adjustment (COLA), which is announced each year in October. I retired at 62 I, but have worked a little the last couple of years, not to much just a little and have paid into SS will the little I’ve paid in increase my benefit payments? Hi Terry. Generally, if you continue to work while receiving retirement benefits, your monthly benefit amount may increase. When you apply for retirement benefits, we base your benefit payment on your highest 35 years of earnings and your age when you start receiving benefits. If your earnings for the prior year are higher than any of the years that were used to compute your retirement benefit, we will recalculate your benefit amount. If an increase is due, a new monthly benefit amount is established on your record automatically. Each year, we review the records for all working Social Security recipients to see if additional earnings may increase monthly benefits. Thanks! I am currently receiving my deceased husband ‘s benefits. If I remarry, do I lose his benefits? Hi Zoe, if you remarry after you reach age 60 (age 50 if disabled), your remarriage will not affect your eligibility for survivors benefits. Remember, you must report any changes in your marital status to Social Security. Thank you, so much for reaching out to us. The info you sent out to us is read and used. Social Security benefits are very important to the senior citizens. I appreciate all that is given to me by the U.S. law. We appreciate your thoughts, Rosalinda. Thanks for your comment! My name is Glenn R Thompson. I will be 65 on June 21 2018 I am currently receiving my early retirement benefits. When will I receive my Medicare card in the mail so I can pick my health benefits. Hi Glenn, if you are already receiving Social Security retirement benefits, you will be enrolled in Medicare Parts A and B automatically. You can receive your card anytime within three months before your 65 birthday. Your Medicare coverage starts the first day of the month you turn 65. My wife started SSI benefits at 62. I started SSI at age 67 at 2-times-over her benefit. When I leave Mother-Earth for my head-gear and Wings; What percentage of my benefit is she eligible to apply for…? Thank you for your question, Richard. If you are already receiving reduced benefits when you die, survivors benefits are based on that amount. The maximum survivors benefit amount is limited to what you would receive if you were still alive. A widow or widower, can get 100 percent of your benefit amount at their full retirement age or older. See “Planning For Your Survivors” for more information. Thank you for your question, David. In some cases, when a person continues to work while receiving retirement benefits, their monthly benefit amount could increase. Each year, we review the records for all working Social Security recipients to see if additional earnings may increase monthly benefits. For retirement benefits, we use the individual’s highest 35 years of earnings to compute monthly benefit amount. If your earnings for the prior year are higher than any of the years that were used to compute your retirement benefit, we will recalculate your benefit amount. If an increase is due, a new monthly benefit amount is established on your record automatically. We hope this information helps! I am turning 65 this year but am still employed. Do I have to take Medicare? I currently receive spouse’s benefits and want to switch to my own benefit when I turn 70. How do I find out what my own benefit is now worth? None of the calculators seem to apply. I put in funds to Social Security to supplement my teacher Salary in retirement . I have learned that I will not receive all the Social Security Funds now that I am retired. I want to know how this can be done. It would be nice after we reach full retirement age that we could still receive full benefits. Everybody can spend our money but us. I cannot open my social security account online account. With all that is happening in the world of cyber space. I don’t want to have my most important information online. Please send me a hard copy of any information that I am entitled to know. Are you saying that if my earnings are not higher than a previous year’s, I receive no benefit from my work? I am 70.5 and started collecting benefits at 66 years. If I keep working until 80, and keep paying into SS, will my benefits increase any more than if I wasn’t working and paying into the system? This new website is informative, however, I would like to know more about the 2% increase which began in January of this year and also the one last year, 2017. I did not receive and increase for either year and I would like to know why? I began taking a “spousal benefit” after my 66th birthday. When I reach 70, and begin to take my own SS benefits, will the money or time I took “spousal benefits” affect my post-70 benefit? I have a Windfall reduccion in my SS Benefit for only ONE year short of 30 years of Considerable Earnings. Now that I work Freelancing and paying Social Security Taxes and last year I made an amount above the Considerable earnings for 2017 can I add that year to my total to make the 30 years? Therefore not to have any reduction? I will be 66 next month, which is my full retirement age. By delaying taking benefits until age 70, I understand my benefits would increase 32%. With that in mind, should I expect my benefits to grow 8% for each of the 4 years I delay? Your retirement estimate calculator does not appear to reflect an 8% increase for age 66 to 67 and so on. Also, must I have earnings between age 66 and 70 that exceeds my top 35 years of earnings in order to enhance my benefits if delaying to take at 70? Hi Gene, please go to: Early or Late Retirement?. Hope this helps! I AM RECEIVING SOCIAL SECURITY UNDER SPOUSAL BENEFITS. I AM NO LONGER WORKING. I AM 67 YEARS OLD. IS THERE ANY CHART THAT I CAN GET TO SHOW ME HOW MUCH I WOULD RECEIVE IF I OPTED TO RECEIVE IT NOW AND ALSO ESTIMATES FOR THE FUTURE? Hello Doris, we have a variety of calculators to help you plan for the future. Which calculator you choose depends on what you want to do. Also, you can create a my Social Security account online. With your personal my Social Security account, you can verify your earnings, get your Social Security Statement, and much more. How can i change my new address. If you already receive benefits (retirement, survivors, or disability) and you have a bank account, you can start or update your direct deposit by using your personal my Social Security account. Thanks! I am 70 and started collecting my SS benefit this year. I am still working part time and SS is taken from my paycheck. Will my SS benefits increase as a result of what is being taken out of each paycheck ? Great question, Amy! Current law requires that everyone working in covered employment or self-employment regardless of age or eligibility for benefits must pay Social Security taxes. Generally, if you continue to work while receiving retirement benefits, your monthly benefit amount could increase. keep in mind that for retirement benefits, we use the individual’s highest 35 years of earnings to compute their monthly benefit amount. If your earnings for the prior year are higher than any of the years that were used to compute your retirement benefit, we will recalculate your benefit amount. If an increase is due, a new monthly benefit amount is established on your record automatically. We hope this information helps! question- I am 65 years and 3 months old. my wife is 59 years and 9 months old. I have made much more money over the years than my wife. I am thinking that when my wife turns 62, she files and I will then file on her account and take the 50% or about $5500 a year until I turn 70 when I will then file on my account and take the max which would be around $41000 a year. since she files at age 62, does she then lose out on getting 50% of my social security when I file at age 70? If I work part time after I retire and collect my ss benefit will my benefit increase the following year slightly. Thank you for your question, Richard. Each year, we review the records for all working Social Security recipients to see if additional earnings could their monthly benefits. Generally, if you continue to work while receiving retirement benefits, your monthly benefit amount could increase. If your earnings for the prior year are higher than any of the years that was used to compute your retirement benefit, we will recalculate your benefit amount. If an increase is due, a new monthly benefit amount is established on your record automatically. I divorced my husband of 36 years when I turned 60. I remarried when I was 70. If my former spouse dies before me, will I qualify for all of his social security benefit? See section: Surviving Divorced Spouse of our Benefits Planner: Survivors, for this information. According to the social security website, my full retirement age is 66. I still work and benefits are deducted. Why can I not receive full benefits? Why are funds taken from my paycheck with held because I started receiving SS @62? A fire destroyed my business and I was left with no income. Please help me understand how the government makes decisions about income deducted from my paycheck for my retirement , and decides how much and when I will receive I??????????? I am 72 years old and have worked the past 4 years part-time. Why do I have to pay into Social Security and Medicare when I receive no increased benefit? About 8% of my pay last year went into them. Hello Robert. Under current law, everyone working in covered employment or self-employment regardless of age or eligibility for benefits must pay Social Security and Medicare taxes. For further income tax questions, you will need to contact the IRS. Their toll-free number is 1-800-829-1040. Thanks! Is there a Silver Sneakers benefit through Social Security? Information can be provided by Medicare.gov. I need to have taxes withdrawn from my social security check. How do I do this? I am currently receiving survivor social security from my deceased husband. How do I find out if my work record now would be more as I am 70. Hello Judith. We have a variety of calculators to help you plan for the future. Which calculator you choose depends on what you want to do. Also, we suggest that you create a my Social Security account. With your personal my Social Security account, you can verify your earnings, get your Social Security Statement, and much more. Happy planning! Each year, we review the records for all working Social Security recipients to see if additional earnings may increase monthly benefits. If your earnings for the prior year are higher than any of the years that were used to compute your retirement benefit, we will recalculate your benefit amount. If an increase is due, a new monthly benefit amount is established on your record automatically. See “Getting Benefits While Working” for more information. Thanks! People drawing SS should not have it taken from their check when they are employed-the little amount a person gains from working to their SS is no where close to the amount they have to pay in each week!! I continue to work and am 72 years old now. I continue to pay in to social security, but have not seen a monthly increase in years. Am I missing something? Thank you for your question, Paul. Generally, if you continue to work while receiving retirement benefits, your monthly benefit amount could increase. If your earnings for the prior year are higher than any of the years that were used to compute your retirement benefit, we will recalculate your benefit amount. If an increase is due, a new monthly benefit amount is established on your record automatically. You may also contact us and request a review of your records. You can call our toll-free number at 1-800-772-1213. Representatives are available Monday through Friday, between 7 a.m. and 7 p.m. You will generally have a shorter wait time if you call later in the week. Hope this helps! How is a ‘Couples. Rate’ detetmined? Thank you for your question, Curtis. Generally, if you continue to work while receiving retirement benefits, your monthly benefit amount could increase. I turn 65 in October, when should I apply to receive my first payment? Thank you for your question, Francis. Our system is set up to take applications three months in advance. You can apply for your benefits online. Remember that benefits are paid the month after they are due. So, for instance, if you want your benefits to begin with the month of October, you will receive your first benefit payment in November. Please visit our Social Security Retirement Planner for more information. cannot log into my account. Fill in the form online to change user and password, just get a reply that I’ll get a letter in the mail, have done this twice now and nothing in the mail (snail), this goes back months. Help!! This is all BS!! I am still working at age 74 & of course it is part-time as I am a cancer survivor so of course my earnings will not exceed my highest year of income in 35 years! Social Security is still taken out of my paychecks but I never get an increase unless you want to count the big increase we got in January that went to increase in Medicare Premiums. There was a time that I wasn’t this bitter, still believing in the American Way. No longer!! So stop clogging up my e-mail with this garbage! I started drawing Socila Security July 1 2017. Can I start working again, stop my benefits and start them back up at a higher rate later? Hi Sheryl. Yes, you can request suspension of your benefits in order to earn delayed retirement credits. See our Frequently Asked Questions web page for more on this topic. You can work while you receive Social Security retirement benefits, and you may be able to receive some or all of your benefits. See “How We Deduct Earnings From Benefits” to learn more. We hope this information helps! There are upper limits on W-2 income that is subject to Social Security and Medicare withholding. If an employee whose W-2 wages exceed those limits, is that employee still subject to Self-Employment Tax on other Earned Income from Self-Employment that the employee may earn in the same tax year? If so, what is the rationale for taxing the combined earnings that exceed the upper limits for Wages? Hello Tim, your question is an income tax question, and you will need to contact the Internal Revenue Service (IRS). Their toll-free number is 1-800-829-1040. Thanks! My wife and I got divorsed on 2006. She has not remarried and currently she receives about half of my SS benefit. She does not have a work history. We were married for 35 years. If I die will she be able to get my benefit? Or would be have to be married for her to claim surveyor benefit?? Hello Anthony, if she remains eligible, her benefits will be converted to Surviving Divorced Spouse. I am still employed full time. I turned age 68 in January. When I decide to take my social security benefits, how much money can I make while collecting benefits? Is there a limited amount of income I can make while getting my benefits? Great question, Marianne. At age 68, you have already attained your full retirement age for retirement insurance benefits. If you work and are full retirement age or older, the amount you make at work will not affect your Social Security benefits, no matter how much you earn. Please read our publication “How Work Affects Your Benefits” for more information. Can anyone answer why we are taxed on SS when we already paid taxes to the SS plan when we were working. We were taxed when we earned it, and now we are taxed when we collect our benefits. It seems that the rules for saving money in IRAs and 401Ks are being applied to SS. Who is confusing the facts and taxing our BENEFITS and calling them INCOME? Does the IRS have the right to do “Double Taxation?” Am I missing something? Blogs on online services of retirement benefits. In April we celebrate “National Social Security Month“, see what you can do online at http://www.SocialSecurity.gov. DO YOU TELL PEOPLE WHO CHOOSE TO CONTINUE WORKING AFTER THEY BEGIN RECEIVING THEIR SOCIAL SECURITY THAT THEY WILL BE TAXED ON A PORTION OF THEIR SOCIAL SECURITY? i THINK NOT ! IS THAT ETHICAL? I THINK NOT ! IT IS…….IT IS MY HARD EARNED MONEY AND THE INTEREST IT HAS EARNED IS JUST THAT…MY EARNED INTEREST FROM MY HARD EARNED MONEY., INVESTED. TRUMP IS DRAINING THE SWAMP AND YOU WILL FEEL IT TOO, YOU THUGS. I want to know if I can go on the internet and have taxes taken out of my automatic monthly payments since I didn’t set it up that way. Can I do it myself online or do I have to go into one of the Social Security Offices or call. Thank you! Hello Ines, please visit our Benefits Planner: Withholding Income Tax From Your Social Security Benefits for information on this topic. I am collecting social security but I have also been working full time since my benefits began. My social security benefit is not enough to live on. Why can’t my earnings and social security deductions from my paycheck contribute to my social security. In the hopes of increasing my monthly amount, this would be so beneficial. So social security uses the best of your 35 year work history. And when did that start? Or has it always been calculate like that. I was told that it’s the last 10 year work history, thats used to calculate your benefit amount. Can benefits against your spouse still be collected? My daughter, Rita Ann Hoffmann, applied for SS benefits for me when I was 63 years of age.. I did not ask her to do this. She just took this upon herself . Her goal was to apply for spousal benefit off her father’s earnings and let my earnings grow til 70 years of age. I did not even know his SS number nor have any intentions of applying for SS benefits at this time. Rita did ask my SS no. I told her my goal was since my earnings were low was to hold off to my 70th the birthday to apply on my own earnings. Rita was under the understanding that I would be eligible for 50% of her Dad’s earnings and it would not affect his benefits. My earnings would not be included and could be drawn upon at full retirement age or later. She said she talked with a SS agent and thought understood clearly it was only spousal benefits. SS rules were at the time totally foreign to me though someone told me you can pay all the benefits you have received from SS at anytime and reapply at a more desirable time if you like. I just learned when for the first time I talked to a SS agent for the first time that when my daughter applied for benefits for me when I was 63 years of age that my benefits were first filed off my own earnings first ( which I needed to allow to grow and not 50%of my husband to whom I have been divorced from since 1996. There is like 37.2% of his earnings. Rita was totally surprised and feels terrible when I told her my findings. I know she meant well. Her father was a cheater and she felt it was time for me to benefit from 23years of loyalty to her father. My question is because my daughter did this not understanding the consequences of filing for early retirement for her mother and being mistaken about filling only for spousal benefits may I pay back all money received from SS and reapply. I turn 66 this year or from what I understand if Rita had not applied for early retirement on my ex-husband’s earnings that once he passes away I would be entitled to all his benefits if my earnings are lower when I reach 70 years of age. I have your understanding and grace in this situation. I took an early retirement how much can I make a-year working without being penalized working part-time I’m 63 years old. If my wife files a restricted application and files for half of the benefits I am receiving will it be half of the benefits I am receiving since I didn’t file till age seventy?? If I retired early from Federal employment and I receive CSRS pension, and I am now employed paying into Social security, how much could I expect to receive from Social Security after working 10 years in the public sector? How much will my Social Security benefits be limited? If I retire at age 63 and 4 months but choose not to draw out Social Security funds until age 66 and 4 months ( I won’t be working therefore not contributing) how do calculated any projected monthly growth to my future payments when I start .?. Hello Brian, our Retirement Estimator is exactly the calculator you are looking for! It gives you future estimates of your monthly Social Security benefits based on your actual Social Security earnings record. Also, we suggest that you create a my Social Security account. With your personal my Social Security account, you can verify your earnings, get your Social Security Statement, and much more. Happy planning! Hello, how are you? M question is, if I retire now at 65 years old per example with 300 dollars a month, but if I still working for 3 years more, my monthly retired will grow ? I ask you because few months ago I talked with a representative of SSA employ, he said NO. Now I am confuse, can you explain to me better please? Thank you so much ! Hello Franco. Generally, if you continue to work while receiving retirement benefits, your monthly benefit amount may increase. Each year, we review the records for all working Social Security recipients to see if additional earnings may increase monthly benefits. If your earnings for the prior year are higher than any of the years that were used to compute your retirement benefit, we will recalculate your benefit amount. If an increase is due, a new monthly benefit amount is established on your record automatically. I’m currently an RN on Social Security Disability, eventually turning over to regular Social Sercurity, should I try to increase my income once I turn over from SS Disability TO regular Social Sercurity? Hello Sunny. Disability payments are established at the highest rate possible, based on your earnings, prior to becoming disabled. Social Security disability benefits automatically change to retirement benefits when disability beneficiaries attain their full retirement age. Generally, the benefit amount will remain the same. Please visit our Benefits Planner: Getting (Retirement) Benefits While Working web page for complete information on this topic. My wife will not come close to having enough credits to draw Social Security. What happens to the money that she has paid in to it. why do I have to wait till I’m 66.8 to draw my social security benefits at a 100% I have worked for over 40 years and have put my time in. I just want to draw at age 62. Not my fault miss management or others that haven’t put anything into the system are getting benefits at the cost of people like me who have worked for it? im still working and paying into the system . will i get a raise in benefits? i collected soc sec early at 62 but still working at 70. Buenos dias. Quiero saber mis beneficios al dia de hoy si me fuera a retirar o si me fuera a incapacitar. Cuanto es la mensualidad que recibiria. Parece que mi password esta bloqueado y no puedo entrar al servicio online. For information in Spanish, please go to http://www.SeguroSocial.gov or visit our Facebook page. Thanks! I am currently receiving spousal benefits. It would be nice to be able to see my own benefit numbers. The only way this is possible now is to make an appointment at the local office. This seems to be a waste of time for SSA, and myself just to see my own benefits. Hello Mike, we have a variety of other calculators, to help you plan for the future. Which calculator you choose depends on what you want to do. Please try our Social Security Detailed Calculator. We hope this helps! Yes, Information is good….I don’t understand why , If you work and paying into SSI after starting to collect, that is then necessary with no apparent benefit, but simply to experience it as an additional TAX on what you earn. I will be 66 in February 2019. When can I retire and get my full social security. January 1, 2019, February 1, 2019 or March 1, 2019? And also i am presently on Medicare Part A because i am working and i have health benefits with my employer. At what time will i need to apply for Part B? Retirement has never been better. My Social Benifits plays a substantial part of my well-being. So, I am confused in that I have given 15 years of military service, get nothing for this, 3 years of Vietnam service for nothing, and have to pay for medicare, “”pittance” for the sacrifice I made. We get nothing for COLI, disgraceful, increase, still working and paying into the system will no benefit at all. I am 72 yrs old on Social Security. If I do any part time work, will there be any increase in my monthly Social Security money. I have moved to Brazil and I have a new address, email remains the same. I need to let you know that I am disabled and receive benefits from the government. My name, Adao C. Defreitas Social, *** – ** – ***. Born, Feb. 23, 1951. I lived in 79 Broad St. Perth Amboy, code, 08861.New address. Rua Floresta 11- Central de Minas-MG Brazil. I tried to enter my new address on this site and it was not possible. I need to log in to receive information.You can send me information by email, defreitasadao@yahoo.com …. thank you very much. For security reasons, we do not have access to personal information, therefore, we do not do direct messaging in this venue. We recommend that individuals living outside the United States contact their local U.S. embassy or consulate for any assistance related to Social Security programs and benefits. Also, our Office of International Operations home page provides more information to assist our customers living abroad. Please be cautious about posting personal information on social media and communicating personal information via email. Why am I penalized by receiving a lesser SSA benefit simply because I worked for a government agency and paid into a pension plan? You did not take any less money from my checks for all the years I did pay into SS. I believes it’s called windfall profits? Profits for the SSA no me. I have been drawing SS benefits since 2004. Is it possible to delay payments and receive 131 % more SS Benefit at this point – 2018? Although I am 77 I continue to work and pay into Social Security. I think some of the 35 yrs for calculation of my benefit are from when I was in high school and I had a part time job. I do not think that my benefit was recalculated for the past few years. How can I get a verification that a recalculation with more recent contributions? When I called on the telephone to inquire about that I just got lip-service; “It is done automatically”. I think we should entertain the possibility that an error was made. To whom should I address this problem? I have been drawing my SS since I was 62 years old. I am now 70. I have been working part time and contributing to social security all that time. When I stop working all together will my SS check increase? Hi Kim, please visit our Benefits Planner: Getting Benefits While Working for information on this topic. Thanks! I’ve been receiving ss,benefits but also working since I turned 65. I haven’t seen any increase in my benefits, I’m wondering why. can you please send me an answer. I continue to work after receiving social security at 62. I was born in 1943 and elected to take early retirement. Do I qualify for increased benefits as I continue to work? I have not received any additional benefits after stsrting my social income . Please visit our Benefits Planner: Getting Benefits While Working for information on this topic. Thanks! I will be 66 this year. I currently receive survivors benefits. I would like to know what my estimated social security will be at retirement age 66? I was wondering if I can get my late husband benefits as well. If I am still employed at the age of 70 (I have taken my SS benefits at age 66) will I be getting additional social security benefits? I think is it very unfair to continue to take social security out of paychecks if you are collecting social security but still working. Once a person is old enough to receive social security, they should not have it taken out of their pay if they decide to go back to work. I am still working. I am 79 years of age. Up until 2014 I was getting adjustment increases to my Soc. Sec. monthly payment. I haven’t received any since then. Last Aug. 2017 I wrote a letter to Soc. Sec. in Poughkeepsie and about two months ago I called them and asked why I haven’t heard anything. They told me my letter was sent to Baltimore, MD and I should be hearing soon. I have not heard anything yet about any adjustment. I would like to know why I haven’t heard from Soc. Sec. and I want to know why I have not gotten an increase in my Soc. Sec. My earned income for 2014 to 2016 ranged from $12,013 to 13,983. This is what it was approx. for the years prior to 2014. Please have someone call me or send a letter. I screwed up retiring, at 62 SS SET A monthly BENEFIT OF 900.00 dollars. I was forced to retire cause of diebetes.., how do I increase that I’m now 66.?? I started taking my SS benefits in July 2014 when I was 65, but for 2014, 2015 and 2016 made about $20,000/yr and in 2017 earned about $12,000. can I get Social Security to credit me for these earnings if I stop getting my SS benefits? How can I do this? Hello John. Each year, we review the records for all working Social Security recipients to see if additional earnings may increase monthly benefits. If your earnings for the prior year are higher than one of the years we used to compute your retirement benefit, we will recalculate your benefit amount. If an increase is due, a new monthly benefit amount is established on your record automatically. See “Getting Benefits While Working” for more information. Thanks! I retired when I was 62 and started collecting Social Security. I’ve been working every year and paying into Social Security and now I’m 70 years old and still working and paying into the system. Does my Social Security change????? I will be 70 years old in Sepmtember 2018. I deferred receiving my SS benefits till them. What should I do now to receive my benefits in September.I’m still working fulltime and xpect to do so past September 2018. You must apply for your benefits, Jose. Keep in mind that the benefit increase no longer applies when you reach age 70, even if you continue to delay taking benefits. Our system is set up to take applications three months in advance and you can apply for your benefits online. Congratulations! I do not know if I am drawing SS benefits on my own earnings or on my ex husband’s earnings. I heard that a person can change this even if they are divorced. I would really love to know the answer to this & how I could go about increasing my benefit if that is a possibility. Thank you! I am wanting to know if I can adjust my wife’s SS amount based on my monthly SS checks. I believe it is called the Spousal Adjustment. Thanks for all this information. Your blog is so clear and easy to go trough and explore the all information. Thanks!!! I’m 68years old I just got part time job to help pay my two supplements I was already drop by my drug plan I couldn’t afford it So.I got a part time job I just started I haven’t received my first check yet.Do I have to report my earnings.than what will I have I’m right back at stage one I can’t afford. I have to report to employer I receiving SSI I’m out of a job.How do you report this to SSI how is it going to help me. Hello Mr. Ray, if you’re receiving “regular” retirement benefits and if you work and are full retirement age or older, the amount you make at work will not affect your Social Security benefits, no matter how much you earn. However, if you’re receiving Supplemental Security Income or SSI benefits, you must report your wages to the local Social Security office. The Supplemental Security Income (SSI) program is a needs-based program that provides cash assistance to disabled adults and children who have limited income and resources, and we must take into consideration any income or resources available to you. My FRA was 2/2014; spouse was 9/2014. I took full benefit at FRA. Spouse at FRA elected restricted benefit and delayed applying for own benefit, so spouse has been getting 50% of my benefit. Spouse will be age 70 in 9/2018 and should start receiving spouse’s own age 70 full benefit then. Does spouse need to contact SSA to trigger the change-over, or will SSA change her benefit automatically when age 70 arrives? Thank you for your question, Roy. Your wife will need to apply for benefits on her own record. Our system is set up to take applications three months in advance. When ready, she can apply online. Please visit our Social Security Retirement Planner for more information. I reside overseas and would love me to open my social security account but I think the system requires a stateside address. Is there a way to allow people in my position to creat an account? Thanks! We are sorry for the inconvenience, Larry. The “my Social Security” authentication system requires address verification as one of the essential criteria for issuing an account. People with APO/FPO/DPO addresses can create an account overseas, but our system does not support registration and account creation for users with a foreign address yet. We recommend that individuals living outside the United States contact their nearest Federal Benefits Unit for assistance with Social Security benefits and available services in their area. For a complete list of Federal Benefits Units and contact information, visit: http://www.socialsecurity.gov/foreign. Thanks! I am trying to determine how the 8% increase for every deferred year relates to the cap in SSA benefit I hear about. The benefit stated in my account has not changed since Sept. 2017, even though I have 18 months of deferment and 2017 earnings on record. Is the 8% deferment per year negated by this cap I am hearing about? Getting an answer out of clerks has proven to be inaccurate and unreliable. Am in receipt of SS retirement benefits . . . have been working part-time for 10-years since retiring and contributed in excess of $10,000 in SS taxes during that time with absolutely ‘no’ credit to my benefits to show for those deductions . . . have been told by SS office in Charlottesville, VA that I have not paid enough to qualify for credits to my annuity payments, but not told of an amount to justify any additional benefits. Sounds like robbery!!!! as not to be penalty? Hello Stephen. If you are 65 or older and not ready to start your monthly cash benefits yet, you can use our online retirement application to sign up for Medicare ONLY and apply for your retirement benefits later. Also, if you are actively working and you are covered under an employer’s group health insurance program, you can delay enrollment into Medicare Part B until you stop working or the health coverage is dropped. However, we suggest that individuals speak to their health benefits advisor, or health plan representative to see what’s best for them, and to prevent any penalties or delayed enrollment in the future. Hello Winnie. You can start receiving your benefit as soon as you turn 62 years old. Additionally, you can keep working and receive your Social Security retirement benefits at the same time. However, since you will still be younger than the full retirement age and (probably) earn more than the yearly earnings limit, your benefits could be reduced. For 2018 that limit is $17,040. See “Getting Benefits While Working” and visit our Retirement Planner for more important information. Thanks! This form would not accept my new address. Why? See “How can I change my address?“. Thanks! Thank you for your question, John. Under current law, everyone working in covered employment or self-employment regardless of age or eligibility for benefits must pay Social Security taxes. Generally, if you continue to work while receiving retirement benefits, your monthly benefit amount could increase. Each year, we review the records for all working Social Security recipients to see if additional earnings could their monthly benefits. We base your benefit payment on your highest 35 years of earnings and your age when you start receiving benefits. If your earnings for the prior year are higher than one of the years we used to compute your retirement benefit, we will recalculate your benefit amount. If an increase is due, a new monthly benefit amount is established on your record automatically. My ex-husband of 30 years died one year ago. May I apply for any part of his social security benefit? Thanks for your question, Brenda. You may be eligible for survivor benefits when you reach age 60 (age 50 or over if disabled). For more information about surviving divorced spouse benefits, check out our Survivors Planner. We hope this helps. I’ve learned at the Recreation Center where I attend that seniors are afforded the opportunity to participate in a program called, “Silver Sneakers”. Does Medicare provide or provide eligibility for this program? If so, how and where do I join? Visit Medicare.gov for information on this topic. Thanks! My husband and I both work. My husband started receiving his monthly benefit when he reached 70. I started to use 50 percent of his monthly benefit (benefit at his 65). When I start to use my benefit at age 70, do I get the amount at my age 70 or the age I started to use his benefit, which was 65? Hi Lili, based on the information you’re providing, you will be getting your delayed retirement credits when you switch to your own retirement benefits. Thanks! Hi, I reached full retirement age this April 2018 and began drawing spousal benefits beginning in April of this year. I am considering changing my claim to begin receiving my own retirement benefits and plan to continue working until the age of 70. My question is this: if i choose to make this change, would my ss benefits continue to increase at an 8% rate each month while working and drawing social security benefits? Hello Margaret. Social Security retirement benefits are increased by a certain percentage (depending on date of birth) -ONLY- if you delay your retirement (on your own record), beyond full retirement age up to age 70. See Delayed Retirement Credits for more information. Please speak with a Social Security representative as soon as possible, before making any decisions. You can call our toll free number at 1-800-772-1213. Representatives are available Monday through Friday, between 7 a.m. and 7 p.m. Generally, you will have a shorter wait time if you call later during the day or later in the week. Thanks! Hello Audrey, please visit our Frequently Asked Questions web page for information on this topic. Thanks! What are the members of congress paid when they leave there position, due to retirement or not re-elected? I am now 70 years old and am still working and just star5ed collecting SS benefits. I understand that I can no longer increase my benefit each quarter. Explain please, then, how do I get paid for income that I have no yet received, but the work has been completed? This is a continual process for me, where I do work but do not receive compensation for up to 3-6 months afterward. Deferred compensation. This will continue until I die, wh8ch means my annual income WILL be going up with each job I undertake. Please explain. I want all the money I worked and paid into the system and was entitled too. I took an early retirement (63) because I had open heart surgery at (62) and suffer with other medical conditions. I retired as a teacher the last 19.5 yrs of my working career. I was told that because I had a pension from my teaching years I couldn’t receive my full SS payment the “spend-down” law put in place by the addle-brain fool Ronald Regan. This is unfair for people like me who paid in faithfully for my 40 quarters plus and when we get old and sick we are then penalized. Isn’t my health a factor in calculating my benefits especially once I reached full retirement age (67)? A pension based on work that is not covered by Social Security (for example, Federal civil service and some State or local government agencies) may cause the amount of your Social Security benefit to be reduced. Your benefits can be reduced based on one of two provisions: The Windfall Elimination Provision & The Government Pension Offset. My wife will turn 62 in September of 2018. I will turn 68 this September also. I have been receiving my full SS benefits for over a year. Can she collect 1/2 of my SS benefits as my spouse and continue to work full time? Is there a limit to how much she can earn and still collect 1/2 of my SS benefits? Can she continue to grow her own SS benefits until she reaches full retirement age of 66 years and 4 months. Hi Larry, thanks for reading our blog. Your wife may be able to get spouse’s benefits but, under existing law, if she is eligible for benefits both as a retired worker and as a spouse, she must apply for both benefits and she’ll receive the higher of the two. This requirement is called “deemed filing” because when you apply for one benefit you are “deemed” to have also applied for the other. See our Retirement Planner: Recent Social Security Claiming Changes for more information. Your wife can work and receive Social Security retirement benefits; however, because she’s younger than full retirement age, there are earnings limits. For 2018, the yearly limit is $17,040. If she’s retiring in the middle of the year and has already earned more than the yearly limit, there is a special rule that applies to earnings for one year. Under this rule, she can get a Social Security benefit for any whole month that she is “retired” and earning $1,420 or less. She can use our earnings test calculator to see how her earnings could affect her benefit payments and our Getting Benefits While Working web page. Hi Sarah, thank you for the question. When you reach full retirement age, your earnings no longer reduce your benefits, no matter how much you earn. For more details, visit our Getting Benefits While Working web page. I can’t seem to find or get an answer to my question. I have a WEP adjustment in my SS benefit. I started my benefit at my FRA with a WEP reduction. However, I am working and each year I am recomputed to adjust my AIME. Does my WEP reduction at bend point one adjust as well? Hi Linda, thank you for your question. If you have 30 or more years of substantial earnings, we don’t reduce the standard 90 percent in our benefit formula. However, if you have 21 to 29 years of substantial earnings, we reduce the 90 percent factor to between 45 and 85 percent. Each year that you work and pay into the Social Security system could result in an adjustment to the formula depending on your total wages for the year. Substantial earnings in 2018 is $23,850 or more. You can find a table that lists the amount of substantial earnings for each year at the bottom of the second page of the Windfall Elimination Provision fact sheet. Is my retirement amount based on how much I made? Or based on the years where I made the most money? Hi Kathy, thank you for the question. A Social Security retirement benefit is calculated by using your highest 35 years of earnings. If you do not have 35 years of earnings, we will use all of the earnings on your record and factor in an annual total of $0.00 earnings for each of the remaining years. Is there a limit on income earned prior to retiring the year I start drawing benefits? If under your full retirement age, there are earnings limits. If you’re retiring in the middle of the year and you have already earned more than the yearly limit ($17,040 in 2018), there is a special rule that applies to earnings for one year. Under this rule, you can get a Social Security benefit for any whole month that you are “retired” and earning $1,420 or less. You can use our earnings test calculator to see how your earnings could affect your benefit payments and check out our Getting Benefits While Working web page. If I work until age 75, and wait to collect SS benefits until I am 75, will my benefits be more than if I collect benefits at age 70, and retire at age 70? Is the annual income earned between age 70-75 calculated into the benefit amount I could receive at age 75? Hello Judy, Social Security retirement benefits are increased by a certain percentage (depending on date of birth) if you delay your retirement beyond full retirement age. The benefit increase no longer applies when you reach age 70, even if you continue to delay taking benefits. See Delayed Retirement Credits for more information. Each year we review the records for all working Social Security recipients. If your earnings for the prior year are higher than one of the years we used to compute your retirement benefit, we will recalculate your benefit amount. If an increase is due, a new monthly benefit amount is established on your record automatically. We hope this information helps! I work and receive a Social Security Check. I am 70 years old. My account say I will have to pay back $1.00 of my Social Security Check for every $3.00 I earn. I though that I could earn as much as I wanted after age 66. What is the truth. Great question Geraldine, if you were born January 2, 1943, through January 1, 1955, then your full retirement age for retirement insurance benefits is 66. If you work and are full retirement age or older, the amount you make at work will not affect your Social Security benefits, no matter how much you earn. You can get your benefits with no limit on your earnings. Please read our publication “How Work Affects Your Benefits” for more information. Thanks! I can’t seem to get a straight answer about delayed retirement credits. I signed up for Social Security at the Brea, CA Social Security office and received a spreadsheet indicating the amount of my DRC without any indication that the information was from Social Security office. Thereafter I received a Retirement, Survivors and Disability Insurance letter from the SSA indicating the monthly amount I will be paid is the amount I would have received at my full retirement age of 66 even though I waited to age 67 to apply. There is no indicator on this letter about the DRC but there is a very explicit statement indicating that I have only 60 days to dispute the lesser amount indicated on the letter or I am out of luck. I returned to my social security office but was only given a post-it note that refers to RS00615.690 Delayed Retirement Credits. Nothing is definitive on the Social Security web site about this policy. My only recourse I can see is to file a Request for Reconsideration form SSA-561-U2 so I can put this information on file. We are sorry for any inconveniences, Kevin. Unfortunately, and because of security reasons we do not have access to personal records in this blog and cannot provide the assistance you need in your situation. One of our representatives should be able to provide you with an explanation. You have the right to file an appeal (Request for Reconsideration), if you have any doubts or disagreements on your established benefit amount, if in case you wish to seek legal advice to verify our decision. Teenage daughter wants to work. How much can she earn without the parent losing her social security check? I believe I have credit on earnings for 2017. Can you tell me when I will receive the “one-time payment” like I have received in the past and approximately how much it will be? Thank you. In Jan 2015 when I turned 66 I applied for delayed social security instead taking spousal social security. In Jan 2019 I turn 70 and need to know how and when to cancel the spousal support & apply for my full social security benefits. Hi, Armelia. You can schedule an appointment with your local office by calling us at 1-800-772-1213 between 7 a.m. to 7 p.m., Monday through Friday, and a representative will assist you. In most cases, you can handle your business by phone. We hope this helps. I started collecting my sss money when I turned 66. I continue to work up to now 30 hours a week. Would I get more money beginning next year? I didn’t know HIV could b used 2 increase my benefits per month because that’s considered a disability. How can I receive those benefits even though I’m on regular SSI. Please respond 2 this accurate n honestly…Thank U VERY MUCH IN this matter. When are we going to get another raise and increase. The one you gave us in 2018 just covered the cost of increase in Medicare payments, and left us with a $2.00 increase in our checks. Its ok for the Government and Military to get a raise but when it come to SS, its the welfare check. They need to eliminate COLA, it doesn’t serve the retirement people. Why dont you try to live on SS with all of the rent increases and gasoline increases each year. Hello Richard. Social Security and Supplemental Security Income (SSI) benefits for more than 67 million Americans will increase 2.8 percent in 2019. The 2.8 percent cost-of-living adjustment (COLA) will begin with benefits payable to Social Security beneficiaries in January 2019. Increased payments to SSI beneficiaries will begin on December 31, 2018. Information about Medicare changes for 2019, when announced, will be available at http://www.medicare.gov. For Social Security beneficiaries receiving Medicare, Social Security will not be able to compute their new benefit amount until after the Medicare premium amounts for 2019 are announced. Thanks! if you are still working and have not taken benefits just turned age 70 is there a change or something you need to know or act on regarding benefits in any way, especially if you plan to continue working to age 75. Wendy, thank you for your question. You earn delayed retirement credits automatically when you delay getting your benefit up to age 70. The benefit increase no longer applies when you reach age 70, even if you continue to delay taking benefits. Our system is set up to take applications four months in advance, and when you’re ready, you can apply for your benefits online. If you need further assistance call our toll free number, 1-800-772-1213 (TTY 1-800-325-0778) and ask to speak with one of our representatives, who are available Monday through Friday between 7 a.m. and 7 p.m. I have a widow’s benefit from my husband, however, it occurs to me that my benefits from my record look that I would receive more if my husband’s were not factored in. I have received the statement that “when “we” add the amounts of the two benefits together, the total amount does not change”. Therefore, it appears it would be more beneficial for me to only take my benefits and not have the widow benefit where my husbands benefits are factored in. Is this true? Hi Carole, thank you for your question. If you are eligible for retirement benefits (but haven’t yet applied for them), you may have an option of switching to your retirement benefit at a later date (if it’s higher than your widow’s benefit). See our Survivors Planner: If You Are The Survivor for more information. To see if you qualify for a higher benefit than what you are currently receiving, call our toll free telephone number at 1-800-772-1213, Monday through Friday between 7 a.m. and 7 p.m. and ask a representative to assist you. when will I know my part b plan will start. I send the application in the mail and waiting for response on my part b plan. I don’t want to miss out on the enrollment for my medigap. Hi Carole: For your security, we do not have access to your information in this venue. We encourage you to work with your local Social Security office. If you are unable to connect with your local office, you may call our toll free number at 1-800-772-1213. Representatives are available to help you Monday through Friday between 7 a.m. and 7 p.m. There were a number of years that I did not pay into Social Security because I owned a business. I took a proprietors draw. I am now receiving Social Security and then working at a job making between seven and $10,000 per year there were a number of years that I did not pay into Social Security because I owned a business. I took a proprietor straw. I am now receiving Social Security and I’m working at a job making between $7000 and $10,000 per year. Will my Social Security check increase for every year I continued to work and Pay into Social Security. I took early retirement but my spouse divorced me and I was forced to go back to work. Am I eligible to get an increase on my ssi? I currently receive $645 per month I have worked part time for 5 yrs. I had no idea there is a possibility i could get more to live on. Is it possible? The Supplemental Security Income or SSI program, requires that we consider some of your income and resources to be available to you. We also take into consideration your living arrangements. These factors may affect your monthly SSI benefits. Generally, if you continue to work while receiving retirement benefits, your monthly benefit amount could increase. Each year, we review the records for all working Social Security recipients to see if additional earnings may increase monthly benefits. Thanks! How can I increase my SS benefits? Hello Linda. Each year, we review the records for all working Social Security recipients to see if additional earnings may increase their monthly benefits. If your earnings for the prior year are higher than one of the years we used to compute your retirement benefit, we will recalculate your benefit amount. See “Getting Benefits While Working” for more information. Is it true a wife can claim SS from an ex spouse if they were married 10 yrs? If yes, must ex husband be notified and approve of receiving this SS? What happens to back years of unclaimed SS for the wife? Anything else you can share with me?? HOW DO YOU INCREASE YOUR BENEFITS IF YOU ARE ALREADY RETIRED, CANNOT WORK DUE TO PHYSICAL ISSUES, BUT REALLY DESPERATELY NEED MORE INCOME? thank you for making this information available for everyone. I look forward to reading all the information I can find about social security. Many of my acquaintances received an SSI increase in 2017 for this year (2018), while I did not…if anything a penny or a dime (?). Was that an error? Any increase that might come my way would be welcome with an open heart (and an MS body). Hi Kathy, thank you for your question. All Social Security beneficiaries and Supplemental Security Income recipients automatically received a 2.0 percent cost-of-living adjustment beginning January 2018. Check out the Cost-of-Living Adjustment web page for more details. What is the amount I can earn without changing my SS benefits? Hi Elizabeth. Thank you for your question. The amount you’re allowed to earn depends on your age. If you attain full retirement age (66) in 2018, the earnings limit is $45,360 but we only count earnings before the month you reach full retirement age. Beginning with the month you reach full retirement age, earnings no longer reduce your benefits, no matter how much you earn. If you’re under full retirement age for the entire year, then we deduct $1 from benefit payments for every $2 earned above the annual limit. For 2018, that limit is $17,040. Is there away to increase my monthly payments if I have not worked since retirement? Hi Maria. The Blog Post How You Can Grow Your Social Security Benefits Beyond Retirement Age covers the various ways one can increase their retirement benefit. I am 67 years old and take spouse’ 50% SSB now, and I plan to take my own SSB when I reach 70. (1). If I still work and continuously earn $100,000 per year, would my SSB next year get reduced, or increased? How much? And after I reached 70 and take my own SSB, would my SSB after 70 increased because of this $100k earning per year? (2). After I reached 70, If I still work and earn $100,000 per year, would my SSB increased after 70? Hello Shirley. If you work and are full retirement age or older, the amount you make at work will not affect your Social Security benefits, no matter how much you earn. If you’re receiving survivors benefits, the additional earnings could help make your retirement benefit higher than your current survivors benefit. Please keep in mind that the benefit increase no longer applies when you reach age 70, even if you continue to delay taking benefits. We have a variety of other calculators to help you plan for the future. Which calculator you choose depends on what you want to do. Each year we review the records for all working Social Security recipients. If your earnings for the prior year are higher than one of the years we used to compute your retirement benefit, we will recalculate your benefit amount. We hope this information helps! I need to know if earnings from a non-profit company negatively reflects my monthly retirement from SSA? Hi Patricia. Thank you for your question. The amount you’re allowed to earn depends on your age. If you attain full retirement age (66) in 2018, the earnings limit is $45,360 but we only count earnings before the month you reach full retirement age. Beginning with the month you reach full retirement age, earnings no longer reduce your benefits, no matter how much you earn. If you’re under full retirement age for the entire year, then we deduct $1 from benefit payments for every $2 earned above the annual limit. For 2018, that limit is $17,040. If you are receiving social security from the age of 63, were born in 1953 and decide to go back to work, earning lest than 17000.00 a year does the amount of your ss benefits get reduced? Hi Vicki. Thank you for your question. The amount you’re allowed to earn depends on your age. If you attain full retirement age (66) in 2019, the earnings limit is $46,920 but we only count earnings before the month you reach full retirement age. Beginning with the month you reach full retirement age, earnings no longer reduce your benefits, no matter how much you earn. If you’re under full retirement age for the entire year of 2018, then we deduct $1 from benefit payments for every $2 earned above the annual limit. For 2018, that limit is $17,040. I am 71 years of age and still working. The amount that I receive for 2019 is based on my 2016 income tax return. not consider it in calculating how much I should receive in my Social Security benefits for 2019.
and have it factored in to how much I receive in 2019? Hi Richard, thank you for your question. To determine your 2019 income-related monthly adjustment amounts, we use your most recent federal tax return the IRS provides to us. Generally, this information is from a tax return filed in 2018 for tax year 2017. Sometimes, the IRS only provides information from a return filed in 2017 for tax year 2016. If we use the 2016 tax year data, and you filed a return for tax year 2017 or did not need to file a tax return for tax year 2017, call us at 1-800-772-1213 (TTY 1-800-325-0778) between 7 a.m. to 7 p.m., Monday through Friday or visit any local Social Security office. I have worked as an Adjunct Prof. part- time, for the last 24 years. I am 85 and wonder if the accumulation of these wages will help increase my monthly benefits? No one year compares to my highest yearly earnings, back in the day, (smile). Hello Clinton. Each year, we review the records for all working Social Security recipients to see if additional earnings may increase their monthly benefits. I am inquiring about Silver Sneakers benefits for Health Club membership. I was informed that I might qualify because I am 65 yrs. old and have Medicare insurance. I am still working and have not yet started receiving Social Security. Pease inform me how I can find out more information about Silver Sneakers or some similar program. I originally became disabled and applied for SSDI in 1997 when I was 50 years old. When I became 65 in 2015, my diability designation disappeared but the rate remained the same. Am I eligible for higher benefits? I became eligible for social security in 2012 and started receiving it in 2012. I have been able to work some part time jobs the last few years and continue to pay into social security, last pay check $100 was deducted for social security! Will I ever see any additional increase beside the cost of living raise we get once in a while. i retired at 62 how many quarters do i have to work to increase my social security payments i have be working since i turned 69 now working full time? Where can I find out about “Silver Sneakers”? Can I claim my benefits at age 63, and when I turn 65, claim my husbands? Thanks for your question, Susie. If you are eligible for retirement benefits on your own record, we pay that amount first. If the benefit on your spouse’s record is higher, you will get an additional amount on that record so that the combination of benefits equals that higher amount. Find more information at our “Retirement Planner: Benefits for You as A Spouse.” We hope this helps. I had a plan. A good plan with my Social security but when i applied for Social Security Benefits I was hit by the UNEXPECTED…I am 64 years old. I try to apply for my Social Security Benefits (SSB) every year since I was 62. Every time I applied they coerce me into NOT getting my SSB. They do this by telling me that I can either have my SSB or Medicaid for my son but not both. They tell me is my choice. I either request for my SSB and my son’s Medicaid is suspended or my son gets Medicaid and I get no SSB. My son is terminally ill with Duchenne Muscular Dystrophy; without Medicaid he will die. In my eyes this subjects have nothing to do with each other. I have over 40 points accumulated, meaning I have worked all of my life. I am retired military with several wars under my belt. Now that I retired I do not like them giving me a coerce choice and telling me I have to choose; either my SSB or my son’s life. Apples and Oranges – not the same. Why? I went on social security early because I had to collect it for a disability. I went back to work part time in 2018 is there any change in my income now? Hi Linda. As long as you continue to work and receive benefits, we will check your record every year to see whether the additional earnings will increase your monthly benefit. If there is an increase, we will send you a letter telling you of your new benefit amount. You can call our toll free number at 1-800-772-1213 for further assistance. Representatives are available Monday through Friday, between 7 a.m. and 7 p.m. Thanks! I began to receive my SS at age 62 (my request, because I was forced to retire early and need money). I will be 90 shortly, I have received my increases when you make them but I often wonder if there has been any changes or updates available to me which have not been aware of, please comment, thank you. Hi, John. If a person begins to receive benefits at age 62 or prior to their full retirement age, their benefits are reduced. The reduction factors are permanently applied to all of the benefits the person may qualify for. In the other hand, if you continue to work while receiving retirement benefits, your monthly benefit amount could increase. Each year, we review the records for all working Social Security recipients to see if additional earnings may increase monthly benefits. To learn more read our publication, How Work Affects Your Benefits. For any specific questions regarding your case, please call us at 1-800-772-1213 (TTY 1-800-325-0778) between 7:00 a.m. to 7:00 p.m., Monday through Friday to have one of our representatives assist you. We hope this information helps! Thanks for your question, Joyce. If you were born January 2, 1943, through January 1, 1955, then your full retirement age for retirement insurance benefits is 66. If you work and are full retirement age or older, you may keep all of your benefits, no matter how much you earn. If you are younger than full retirement age, there is a limit to how much you can earn and still receive full Social Security benefits. In 2019, that limit is $17,640. We must deduct $1 from your benefits for each $2 you earn above $17, 640. If you reach full retirement age during 2019, we must deduct $1 from your benefits for each $3 you earn above $46,920 until the month you reach full retirement age. For more information and examples of how this works, please see our publication, How Work Affects Your Benefits. We hope this helps. So my ss benefit will not increase even though a ss deduction from my wages is being taken? My yearly wages will never exceed any years wages prior to my retirement. Just another example of the small guy getting the short end of the stick. The rich get the advantage of the way this is set up as I am paying for their increased benefit.. Talk about being unfair! I just started collecting social security and I have been asked to continue working. Can I pay it back and what I have received so I can continue to add 8% / year and collect in the future? Hi, Janice. Great question! If you change your mind, you may be able to withdraw your Social Security claim and apply again at a future date. However, you must do this within 12 months after the date you originally began receiving benefits. Keep in mind that there are some things you need to know about what will happen if you withdraw your application. Read the details on our Benefits Planner: If You Change Your Mind web page. Hope this helps! I have been receiving social security benefits from my husbands account. Now that I am 70, I would like to apply for social security under my own social security account. Hi, Dianne. You will need to contact us at 1-800-772-1213, Monday through Friday, between 7 a.m. and 7 p.m. to set up an appointment to file on your own record. You can also contact your local Social Security office. Thanks! My accountant said that my wife may be eligible to receive 1/2 of my monthly benefit. We are both 73. Can you let me know if this is possible? Thank you for your question, Kenneth. If your wife qualifies for Social Security benefits on her own record, we pay that amount first. But if she also qualifies for a higher amount as a spouse later on, she’ll get a combination of benefits that equals that higher amount. Visit our Retirement Planner: Benefits For You As A Spouse for more information. For further questions about your wife’s specific case, she can contact us at 1-800-772-1213, Monday through Friday, between 7:00 a.m. and 7:00 p.m. for assistance. We hope this helps. My accountant said that my wife may be eligible for 1/2 of my monthly benefit. We are both 73. Can you help me find out if this is possible? I was medically retired in 2005 at age 54. I’ve been receiving the same amount ever of SSI since with normal increases. Should my SSI increase after age 65 substantially? Or can I get it to increase somehow? Hi, Kenneth. Thanks for your questions. We apologize, but your questions are a bit more complex than we can address in this forum. We ask that members in our Blog community continue to work with their local office on specific questions about their benefit amount. You can also call our toll free number at 1-800-772-1213 (TTY 1-800-325-0778). Representatives are available Monday through Friday between 7:00 a.m. and 7:00 p.m. Generally, you’ll have a shorter wait time if you call later in the week. We hope this helps! Is it a typical practice for banks to hold every monthly check for 2-5 days, depending on weekends and holidays, past the recipient’s date of birth?? If so, why?? My check isn’t available for access for several days after it is deposited. Again, why is this? We’re sorry to hear about the issues you are experiencing, Larry. We can only advise you in regards to Social Security programs and benefits. For questions regarding access to your personal funds at your bank, you’ll need to continue working with your financial institution. Thanks! Can I collect social security using my husbands account and let mine grow and collect on mine at a later date? Hi, Jean. Thank you for your question. To qualify for spouse’s benefits, your husband must be receiving retirement or disability benefits. Also, when you qualify for Social Security benefits on your own record, we pay that amount first. But if you also qualify for a higher amount as a spouse, you’ll get a combination of benefits that equals that higher amount. Visit our Benefits Planner: Benefits For You As A Spouse for more information. We hope this helps. There are no incentives to work after retirement at 66. Why would this be. Seems to me government is doing an injustice to the aged workers and discouraging others just simply not to return to work force, costing the government tax dollars. Hi Debra. Generally, if you continue to work while receiving retirement benefits, your monthly benefit amount may increase. As long as you continue to work and receive benefits, we will check your record every year to see whether the additional earnings will increase your monthly benefit. If there is an increase, we will send you a letter telling you of your new benefit amount. You can call our toll free number at 1-800-772-1213 for further assistance. Representatives are available Monday through Friday, between 7 a.m. and 7 p.m. Thanks! Just talked to a friend,he told me that he is still working full time(he is 62) His wife is collecting SS.There is a program that as long as he works full time his wife gets a check on top of her regular SS payment.Can you explain? Hi Christopher, thank you for your question. It’s hard to say but it sounds like she is collecting Social Security retirement benefits on her own record. 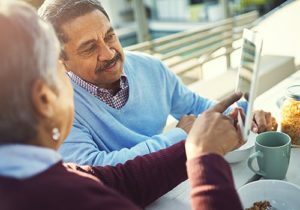 The Benefits Planner: Retirement provides detailed information about Social Security retirement benefits. To collect off a spouse’s social security why are assets asked for. SPENT ONE HOUR AND COULD NOT FIND THE DOLLAR AMOUNT OF SOCIAL SECURITY AT AGE 66. SEND ANSWER AND WERE TO FIND IT ON THIS CONFUSING SYSTEM . Hi, Thomas. We have an online calculator where you can test various scenarios and retirement ages to estimate your benefits. You can also create a personal my Social Security account to review estimates of your retirement, disability, and survivors benefits, your earnings record, and the estimated Social Security and Medicare taxes you’ve paid. Just a reminder – please be cautious about posting personal information on social media. We hope this helps! If i and my husband had a business prior to a divorce and I turning 65 should this be included in part of my benefits? I am a prior SSD recipient. All business was unknowledgeable and withheld from me plus many other factors. I am 66 and just started receiving benefits last year. Is there a dollar cap on two family members receiving social security? Where can I pay the deduction for my retirement plan? My work doesn’t do W2 but 1099. Please advice.